Is NATO Showing its Age? Chris is on a beach somewhere soaking up the rays, so this week George Mason's Trevor Thrall joins the podcast. The gang discusses NATO Secretary General Jens Stoltenberg's address to Congress on the 70th anniversary of the signing of the Washington Treaty. What is NATO's mission 30 years after the fall of the Soviet Union? What does the addition of member states mean for the Alliance and for American national security? What effect has President Trump's rhetoric regarding the responsibilities of other members and the possibility of the United States leaving the Organization had? Finally, Trevor warms Melanie's heart with puppy stories and Bryan rejoices in UVA's national title and the return of Game of Thrones. In addition to “being the taxpayers’ greatest investment,” Rolling Stone's Matt Taibbi writes that the Pentagon is also “the world’s largest producer of wrong numbers, an ingenious bureaucratic defense system that hides all the other rats’ nests underneath.” Last year, the Department of Defense became the last Cabinet-level department to submit to a comprehensive review of its books — and it flunked the audit. But Defense Department “never expected to pass it,” explained then-Deputy Secretary of Defense Patrick Shanahan. Whether it ever will — or is even committed to doing so — is an open question. In this week's episode of Net Assessment, Bryan, Melanie, and Chris discuss Taibbi’s scathing feature, aptly titled “The Pentagon’s Bottomless Money Pit,” and unpack his suggestions for how to fix the problem. Bryan has no grievances — life is coming up roses now that his beloved Virginia Cavaliers have made it to men’s college basketball’s Final Four (Cavaliers’ head coach Tony Bennett, naturally, earns his attaboy). Chris faults those who want to keep expanding NATO, and Melanie credits the Southern Poverty Law Center for (belatedly) doing the right thing. In this episode, Chris, Bryan, and Melanie take a broad look at the administration's FY2020 defense budget request. They discuss whether or not it is the "masterpiece" that Pat Shanahan promised, and agree (!) that the budget process is in need of serious reform. They ask whether it aligns with the National Defense Strategy, what Congress (especially the Democratic House with many domestic priorities) will think of it, and how it will be paid for in a time of ever-growing deficits. Finally, Chris takes the secretary of state to task, Melanie is irritated with what's going on in higher ed, and Bryan welcomes a friend home. "Defense Budget Overview: United States Department of Defense Fiscal Years 2020 Budget Request"
Join Melanie, Chris, and Bryan for a discussion of how to think about great power competition with China. Using Brookings scholar Tarun Chhabra's recent report "The China challenge, democracy, and US grand strategy" as the impetus for the conversation, our hosts dive into whether China's threat to liberal democracies is more of a challenge than that presented by the former Soviet Union, and if so, what America is willing to do to contest that challenge. Stay to the end to hear Melanie's inspired "Attagirl" for the senior senator from California. Aaron Blake, “John Bolton Tried to Explain Away Trump's Otto Warmbier Comments and It Went Poorly,” Washington Post, March 4, 2019. Can Conservatism Save the Liberal Order? And What Are We Conserving? What is the best way to preserve the liberal international order (such as it is) going forward? Some counsel conservatism. Jennifer Lind and William Wohlforth argue that “the United States and its partners should consolidate the gains the order has reaped,” back away from democracy promotion, and resist the urge to add new members to existing alliances, especially those countries that bring more liabilities than capabilities. Are they right? Must the United States practice more discernment (Bryan’s word) or restraint (Chris’s), or does the order still depend upon American military primacy? Would it collapse or atrophy if the United States were less likely to employ force in the service of certain desirable, but non-essential, ends? Or would democracy and human rights flourish if promoted chiefly by the power of America's example, and carried forward by non-governmental organizations, as opposed to entities of the U.S. government? Also, Chris remembers Rep. Walter Jones, Melanie praises California Gov. Gavin Newsom, and, in a first, Germany earns both a grievance and (minor) attaboy in the same show. Join Chris, Melanie, and Bryan — your Net Assessment podcasters — for a dive into nuclear weapons and grand strategy, and the degree to which they have impacted each other. The story is one of contradiction, of hubris, and of unproven (and unprovable) assertions. Is It the End of the World, As We Know It? The United States has managed to avoid foreign policy catastrophes during the first two years of the Trump administration, but defenders of American primacy espy trouble on the horizon. Most Americans have no living memory of the 1930s and World War II, and younger Americans, who have known only the inconclusive wars of the last fifteen years, are far less likely than their parents and grandparents to support higher levels of military spending. They favor a different kind of global engagement, one not predicated on American hard power. But can the liberal international order, such as it is, survive without America’s “big stick” military to back it up? And what, if anything, would replace it? On the lighter side, Melanie and Bryan also discuss binge-watching foreign television series over the holidays, and Chris shines the light on our safer, healthier, and wealthier world. In our last episode before the holidays, we take a look at the US-Saudi relationship. With President Trump standing by Mohammad bin Salman even as the CIA blames him for the murder of journalist Jamal Khashoggi, we discuss what weight human rights should have in foreign policy, whether Congress is reasserting its powers in national security matters, and what the United States should do with respect to Yemen. Bryan and Chris lament Navy's loss in the Army-Navy game and Bryan shares a personal interaction between his mother and the late President George H.W. Bush. Finally, in their recap of the Reagan National Defense Forum, we find out what Melanie keeps in her enormous purse, and where Bryan ranks in her choice of dinner mates. Does the Pentagon Deserve Our Trust? Featured Article: Michael Krepon, "Nothing about Trashing the INF Treaty Makes the US Safer," Defense One, October 21, 2018. Sonny Bunch, “Jeff Bezos: King of the Tech Lords, " Washington Free Beacon, October 23, 2018. Elbridge Colby, "The INF Treaty Hamstrings the US. Trump is Right to Leave It," Center for a New American Security, October 23, 2018. Scott Cuomo, "It's Time to Make a New Deal Solving the INF Treaty's Strategic Liabilities to Achieve US Security Goals in Asia," Texas National Security Review, October 2018. Karoun Demirjian, "GOP Lawmakers Criticize Trump's Decision to Withdraw from Nuclear Arms Treaty," Washington Post, October 21, 2018. Michael Kofman, "Under the Missile's Shadow: What Does the Passing of the INF Treaty Mean?" War on the Rocks, October 26, 2018. Eric Sayers, "The Intermediate Range Nuclear Forces Treaty and the Future of The Indo-Pacific Military Balance," War on the Rocks, February 13, 2018. Kori Schake, "Trump's Defensible Decision to withdraw from a Nuclear Treaty," The Atlantic, October 23, 2018. Gary Shih, "China Rolls Back Decades-Old Tiger and Rhino Parts Ban, Worrying Conservationists," Washington Post, October 29, 2018. Ian Williams, "Leaving the INF Treaty Now is the Right Call," CSIS, October 24, 2018. This week’s Net Assessment podcast featured a deep-dive into the Vice President’s early October speech on the competition with China. Largely drowned out by the Kavanaugh SCOTUS controversy, Melanie, Chris, and Bryan give this important speech due consideration, to include administration views on Taiwan, China’s defense buildup, and its growing global influence. The crew also discussed foreign aid, the F-35, the deficit, the alleged assassination of Jamal Khashoggi, and the resignation of Nikki Haley. All of this while celebrating Melanie’s birthday. Ethan Epstein, “How China Infiltrated US Classrooms,” Politico, January 16, 2018. Glenn Thrush, “Trump Embraces Foreign Aid to Counter China’s Global Influence,” New York Times, October 14, 2018. Jim DeBrosse, “Waiting for the Great Leap Forward,” Cincinnati Magazine, May 4, 2017. Alan Rappeport, “In New Slap at China, US Expands Power to Block Foreign Investments,” New York Times, October 10, 2018. Jane Perlez and Yufan Huang, “Behind China’s $1 Trillion Plan to Shake Up the Economic Order,” New York Times, May 13, 2017. What happens when a libertarian, a conservative hawk, and a constitutional powers specialist walk into a podcast studio? 'Net Assessment' happens. Welcome to the hottest new national security podcast hosted by Melanie Marlowe, Christopher Preble, and Bryan McGrath. This is a show about competing visions of America's role in the world. In each episode, they will be discussing a featured article, airing their grievances, and giving attaboys. In the first episode of this bi-weekly series, our hosts introduce themselves and their hopes for this podcast. They tackle this episode's featured article, Adrian Lewis' "The Ivory Tower and Academic Ignorance of What the Armed Forces Actually Do," published by Task & Purpose. They also discuss the role of American seapower and, of course, Twitter feuds. Don't forget to subscribe to Net Assessment on your podcast app of choice. Claudia Grisales and Corey Dickstein, “Vice Adm. Faller: 'I Was Cleared of All Wrongdoing' in 'Fat Leonard' Case,” Stars and Stripes, September 25, 2018. Corey Dickstein, "House Lawmakers Confused over US Military’s Goals in Syria as Pentagon Maintains Focus on ISIS," Stars and Stripes, September 26, 2018. Joshua Keating, “Why John Bolton is So Obsessed with the International Criminal Court," Slate, September 10, 2018. 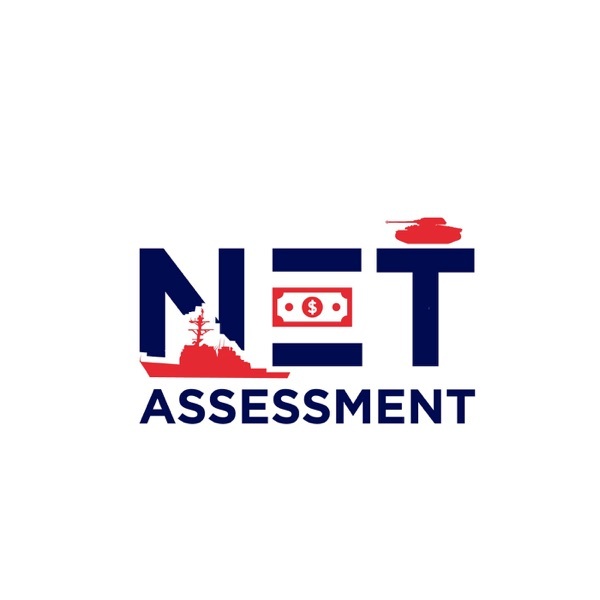 War on the Rocks is excited to introduce an exciting new biweekly podcast: "Net Assessment." This new series features three assertive and experienced national security hands, debating important issues related to strategy, defense, and foreign affairs. Join Melanie Marlowe, Bryan McGrath, and Christopher Preble for "Net Assessment." This trailer gives you a taste of what's to come.